Greg Raymer signs his fossil "bounty" while Fred Paradis adds to his massive CPPT Main Event chip lead. Fred Paradis and and Greg Raymer have gone in opposite directions since returning from the last break and 15 minutes into the last level of the night Paradis sent Raymer to the rail after an hour and a half that the former WSOP Main Event Champion would rather forget. 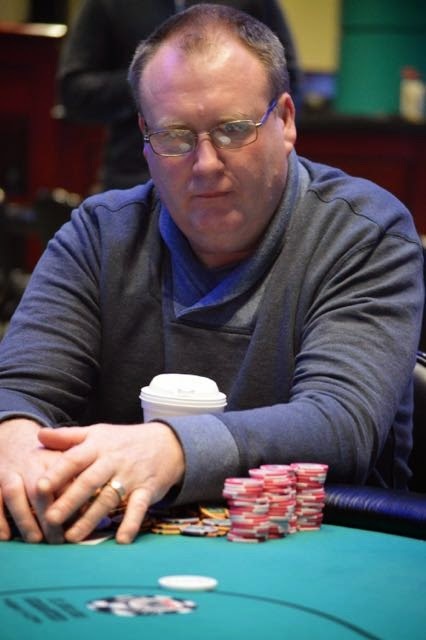 Raymer came back from the break with the chip lead with three tables remaining, but after turning two pair against Dilipkumar Patel and getting it all-in against Patel's flopped top set, Raymer was left with just over 250,000 chips. Since then he's gotten cut down slightly and he finally got his last 180,000 chips all-in pre-flop against Paradis' early position open. 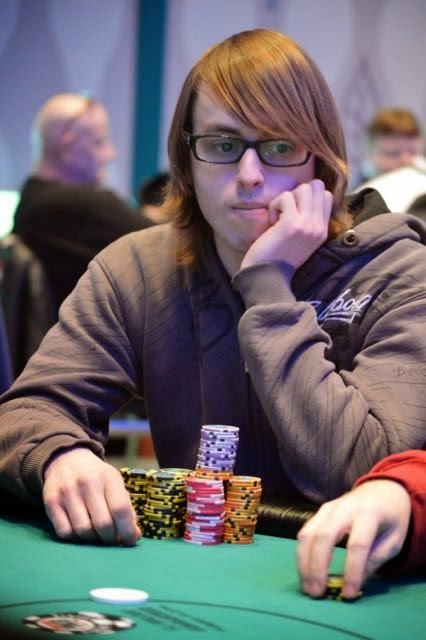 Paradis, who was and is still the chip leader of this Card Player Poker Tour Main Event, would call and table [6d][6s] and Raymer would be flipping for his tournament life as he held [Qh][Jh]. The flip would be over on the flop as Paradis smashed the [6c][Ad][6h] flop, leaving Raymer drawing dead as his CPPT Main Event run was officially over. 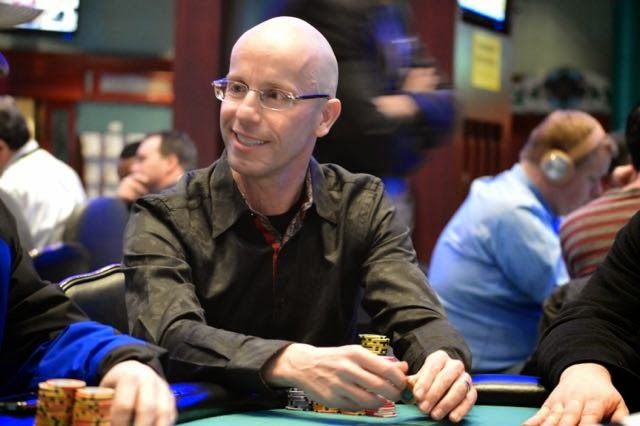 Paradis would take in the pot and accept Raymer's signed fossil "bounty" while stacking up close to 1,700,000 chips, controlling close to 20% of the total chips in play. We've just lost our 18th and 19th player from the field and we are now down to our final two tables here in the Card Player Poker Tour Main Event. Table 3 has broken and here is where the remaining players will play for the next hour, as there is just one more level left in Day 2. 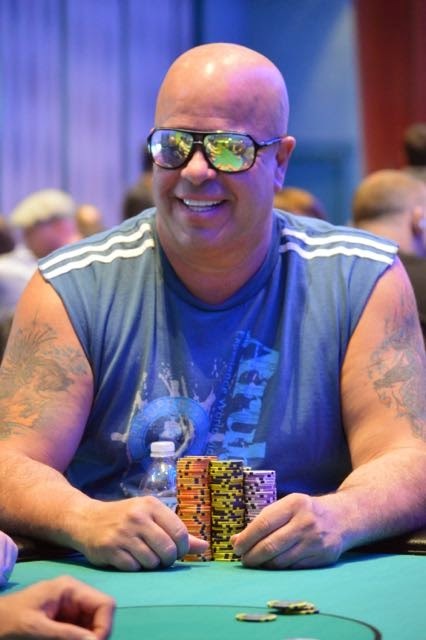 While many players remaining in this Card Player Poker Tour Main Event have multiple live tournament titles and hundreds of thousands, if not millions, of live career tournament earnings Stanley Lee (West Hartford, CT) is a more or less "raw" live tournament pro. 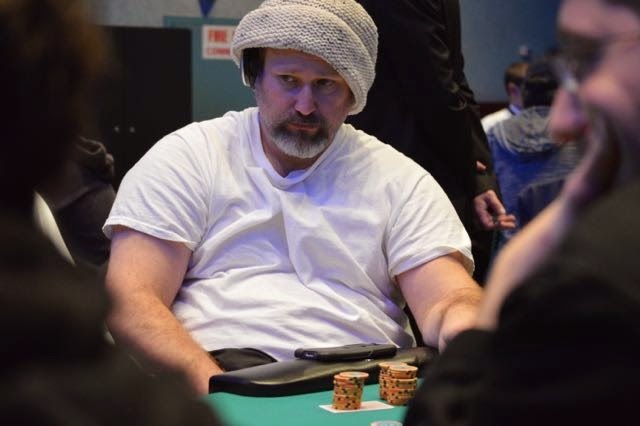 But, we'd go out on a limb to say, that other than WSOP Main Event Champion Greg Raymer, Lee is the most experienced tournament player in the field as he has multiple million dollars in online tournament earnings and until recently had spent the majority of the last few years grinding in Costa Rica to continue to crush the virtual felt. Lee decided to rededicate himself to live poker this year and after phenomenal start to that career at the Borgata Winter Poker Open where he bubbled the $2,000,000 GTD opening event Final Table, won his first major live title a few days later and made just under $80,000 in his first full week of "live" poker, he's followed that up with a top twenty finish, at least, in this CPPT Main Event. This score is his first "live" Main Event cash, but Lee has made deep runs in some of the online world's biggest events multiple times and even though he's not planted in front of a computer screen with a mouse in this palm, he still knows how to click it back as he's been on the offensive since taking his seat at Table 1. Lee's aggressive strategy is a double edged sword, but it seems like he's been able to pick the perfect spots to really "attack" and minimize his loses when he's too far out on a limb. It's been a near perfect balancing act so far as he and the rest of this field are just over a level away from Day 3, as everyone will bag up their chips at the end of Level 22. Lee is currently playing just under 600,000, well above the chip average. Our "feature" table is starting to tilt to one end as Greg Raymer and Fred Paradis control close to 1,500,000 chips between themselves after Paradis cracked Patrick Donnelly's pocket Aces to send him to the rail and to give himself the chip lead of the Card Player Poker Tour Main Event. The action was picked up on a flop of [Ad][3h][2c] with both players checking and the turn is where it got interesting. The [4s] fell and after a bet and a raise the chips were suddenly all-in with Paradis tabling [5h][5d] and Donnelly showing [As][Ah]. Donnelly had flopped a set and checked giving Paradis a free card to hit his straight draw, but we imagine that even if Donnelly bet the flop, Paradis is at least floating one street and the money is getting in on the turn anyway. We'll never know though, but what we do know is that Patrick Donnelly is now waiting to collect his payout ticket and Fred Paradis is now sitting with close to 800,000 chips and it's starting to look like the Foxwoods Poker Champion is setting himself up for one of his best Main Event finishes of his career. There are just over 20 minutes remaining in Level 21 and this big stacked "feature" table can be watched live on foxwoodslive.com. Who's In The #CPPT Main Event Top 25? We've moved past the 25 player mark here in the Card Player Poker Tour Main Event and after returning from the last break, players are slated to play two more levels before bagging up for tomorrow's Dya 3 session. The tournament structure originally stated that we would play until the end of Level 22 or the Final Table, whichever happens first. So, it only makes sense to think that we will not reach our final ten players tonight, so Level 22 will be our cutoff for Day 2. 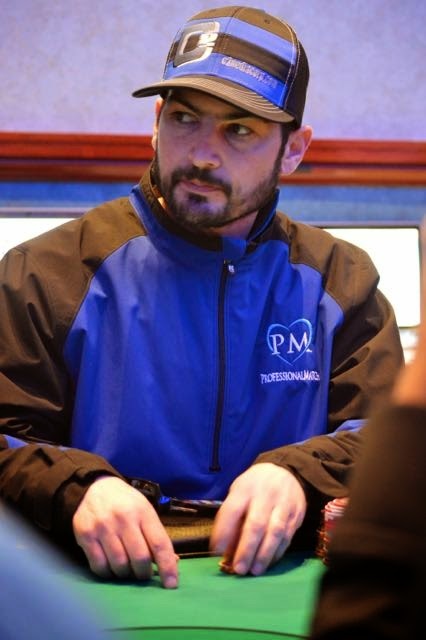 Ryan Mostafa has won two Foxwoods titles in his career and is now looking to make a run to this CPPT Main Event Final Table. 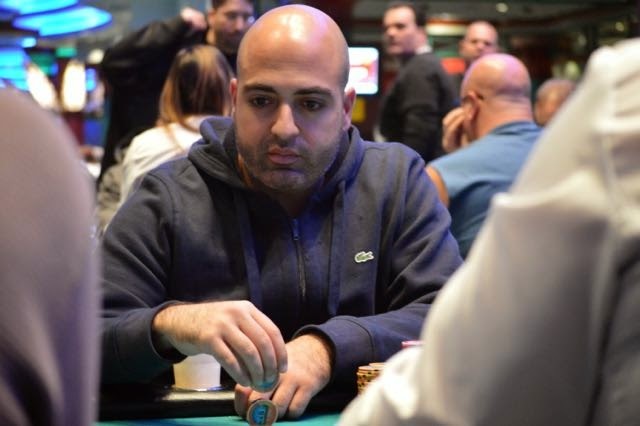 Costa Katikakis ended yesterday's Flight A with one of the bigger stacks and is still sitting around the chip average with just over 20 players remaining. 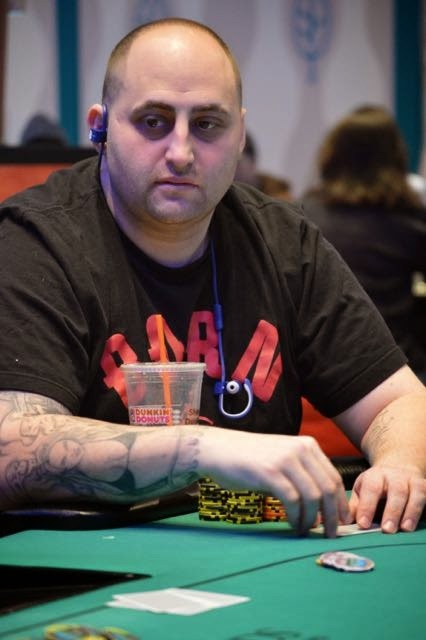 Jay Feingold was at a "stacked" table during the bubble and has survived to make his first ever Main Event cash, albeit with a below average stack. 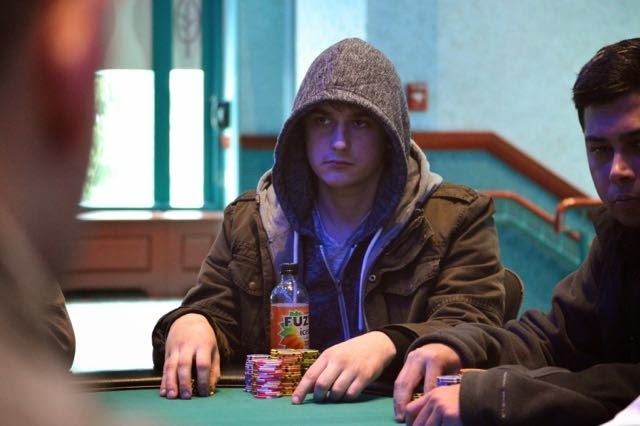 David Grandieri has done nothing but continue to play great poker since making his "hero" call on the bubble as he's continued to chip up and sits with one of the bigger stacks in the room. Greg Raymer returned from the last break as the big stack of the CPPT Main Event and is now seated at our live streaming "feature" table. Sharman Olshan has recovered from her hand with David Grandieri and is now playing an average stack as she and Rachel Kranz are still the last two women standing in the CPPT Main Event. We've hit the next break in the action and just a few minutes before the end of Level 20 we reached our final three tables and the 27 remaining players redrew for their new seating assignments. There have been some big swings of chips through the money bubble as there was over two hours of play that went "unaccounted for" in terms of chip count updates. The following players are still alive but are currently below the chip average of 275,000. The current chip average is playing 35 big blinds. Players are a half hour away from their next break. After close to two and a half hours of bubble play, it was only fitting that two players went out on the same exact hand to split the bubble as Dusean Brown and Victor Ramdin were sent to the rail simultaneously on different tables and will chop the 36th place prize money. Brown was sent to the rail by Steve "Dakota" Happas after Brown moved all-in from early position and Happas, to his immediate left, would re-shove having Brown covered almost 2:1. Happas had his opponent dominated [Ad][Kd] to Brown's [Kc][Js] and after the flop came down Ace high, Brown was more or less out the door. 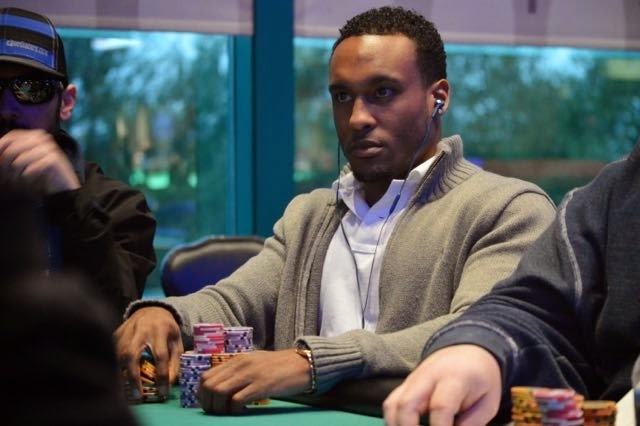 But, he'd hang around to get a ruling from the floor as Victor Ramdin was all-in flipping for his tournament life at Table 1 his [6c][6h] to David Grandieri's [Qh][8h]. Ramdin would not only survive the flop, but cut down on the outs that could eliminate him as the board came down with three hearts giving him a flush draw. Grandieri would spike a black eight on the river to eliminate Ramdin though, sending us into a momentary state of confusion as the entire field wondered if one had bubble and one had made the money. They'd each get "both" though as they'll both split the $3,200 for 36th place, getting their buy-in back for this Card Player Poker Tour Main Event. 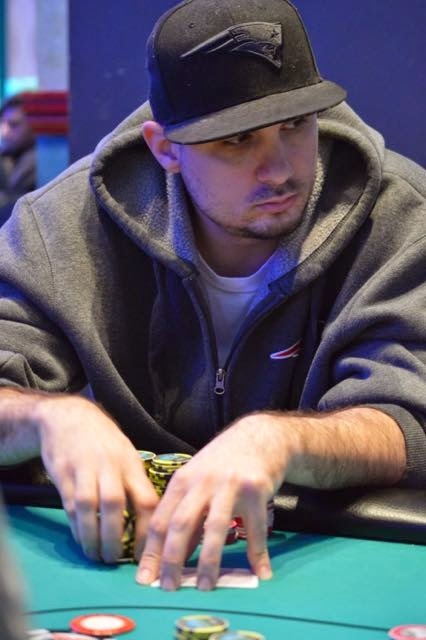 Now that the bubble and chop of the first payout spot has been finalized, we are now back to some "regular" poker as Ryan Mostafa just said as play will continue uninterrupted from here on out as there will be no more break for hand-for-hand play. After a longer than usual bubble we expect the next level or so to bring knockouts at a fast pace as players have been getting ground down and the chip average is now playing just over 30 big blinds as opposed to the 50 big blind average that we had when the money bubble started. We've almost played through an entire level without an elimination as we are still on the bubble of the Card Player Poker Tour Main Event. 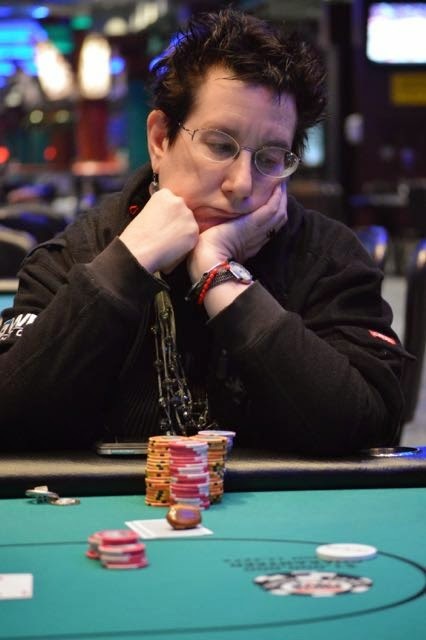 While there have been a few short stack double ups, including Rachel Kranz and Anthony DiStefano rivering a set when his [10c][10s] was all-in against Davide Grandieri's [Kh][Ks], the main focus of everyone in the tournament area has been on Robert Mielcarek who has been the shortest stack in the field for close to two hours now. He hasn't played a hand through that span and just got his final two big blinds all-in from early position. 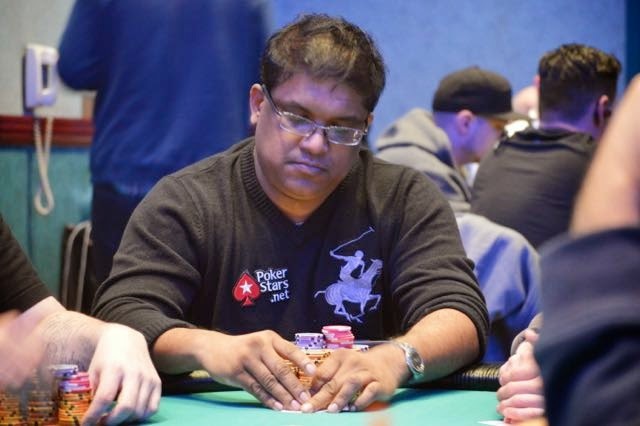 Bharath Sreekanth would then be the next player to act and would raise to 45,000, a play the rest of the table did not like as everyone might have planned to call and check it down hoping to eliminate the short stack and earn themselves a pay day. They were happy that didn't happen though as Mielcarek turned over [Jc][Js] and would turn a full house to beat Bharath's [Ah][Kh] on a board of [7c][3s][Kc][Jd][Ks]. Mielcarek couldn't watch as the board ran out and then picked his head up to fall to his knees when the river spiked, thinking he lost the hand for a moment before realizing that he turned an unbeatable hand. 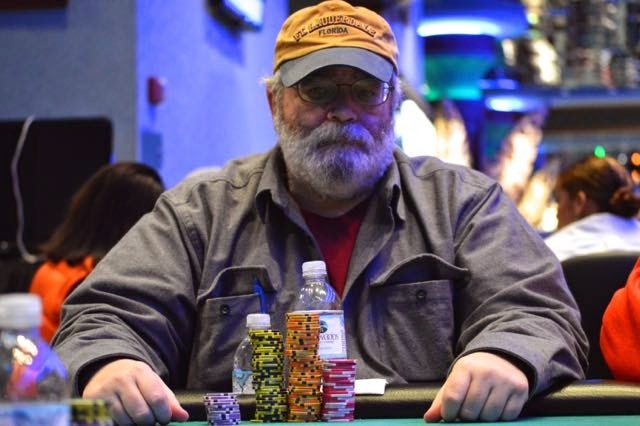 He'd collect just under 45,000 chips and would be back up to just under the 10 big blind stack and Fred Paradise would say, "We're lucky he [Bharath] raised or else he [Mielcarek] might have an average stack right now." Everyone at the table agreed and 13,000 times however many people would have called would have been a decent pot for the short stack to win but he'll take any improvement to his stack as we continue to play through the CPPT Main Event bubble. Some of the other short stacks in the field sweating the bubble are Victor Ramdin, Steve "Dakota" Happas, Rachel Kranz and Michael Borchetta. We are now back from the dinner break and are still, after close to a complete level and a half, on the Card Player Poker Tour Main Event money bubble. Players will return to play four more levels tonight, but they'll obviously think of that point in time after they lock up a score. The Foxwoods blog will bring you all the action from the rest of the night with the next update coming when we are finally "ITM". The Card Player Poker Tour Main Event is still on the immediate money bubble as 37 players are now on an hour long dinner break. The tournament staff has elected to not play through the bubble so unfortunately, one payer will return from dinner out of the money. Live updates will pick up the action once play resumes around 7:40 PM. A rail develops as Sharman Olshan and David Grandieri play a close to 600,000 chip pot on the bubble of the CPPT Main Event. We're still on the Card Player Poker Tour Main Event money bubble with a change of the chip lead taking place after what potentially could be a tournament defining hand that just played out at Table 1. The action was picked up pre-flop with Ryan Mostafa raising to 12,000. David "Silent Storm" Grandieri would make the call in late position and then Sharman Olshan would raise to 25,000 from the button. Both players would call to see the [8c][5h][Qc] flop and check to the pre-flop three bettor. Sharman would continue for 25,000, forcing a fold from Mostafa. Grandieri wasn't going anywhere though, as he check raised to 60,000. Sharman then took a second to count her stack before clicking it back to 110,000. Grandieri went into the tank for close to a minute and a half before eventually making the call. The [7s] came on the turn and Grandieri would check to Sharman, who showed no signs of slowing down, firing out a value sized bet of 70,000. Grandieri again took his time to make a decision, counting and re-counting his stack a few times before eventually calling. By this time a massive rail had developed both in and outside the tournament area, as players and fans had a feeling this pot would either pop the bubble or make someone the massive CPPT ME chip leader. The [Jd] came on the river and Grandieri stayed true to form checking to Sharman, who again fired out a bet of 70,000 chips. That bet represented just over 60% of Grandieri's stack, so he'd be crippled if he were to call and be wrong. After close to a minute of thought, he shrugged his shoulders and threw his chips in and Sharman would immediately cringe and say, "Nothing, Ace high." Grandieri would table [Ac][5c] for bottom pair and a busted flush draw, good enough to beat Sharman's [As][10s]. The atmosphere was electric as half the crowd couldn't believe the call and the other half couldn't believe the bluff gone wrong that would more or less have one of the chip leaders crippled on the bubble as Sharman sent nearly 75% of her stack to Grandieri. Grandieri would stand up, throw his hood off and walk away from the table, doing a lap around the tournament area, not in celebration, but in pure relief. 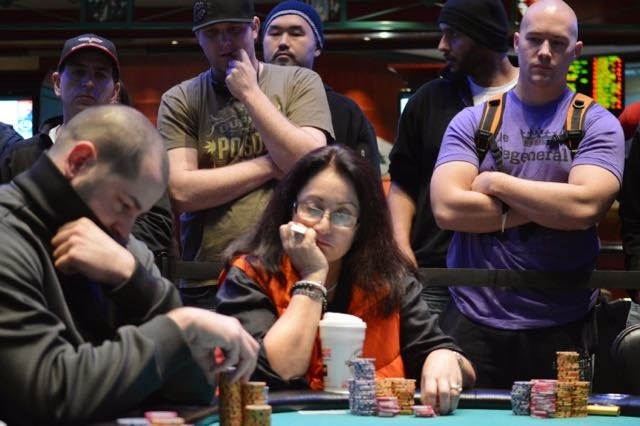 He'd return to the table to stack up close to 600,000 chips, putting himself alone atop the CPPT Main Event leaderboard with just a few minutes remaining in Level 18 with play still stalled on the bubble. The short stacks don't seem to be wanting to get involved with many pots on this Card Player Poker Tour Main Event bubble, but some of the chip leaders are splashing around and doing so profitably as they've almost all been able to increase their stack over the last fifteen minutes or so. Rachel Kranz and Sharman Olshan are the only female players still alive in this CPPT Main Event but they might also be the two biggest stacks in the room as they've been able to each move over the 350,000 chip mark while bossing this money bubble. Kranz just took a sizable pot off of PJ Caruso as the two got into a little leveling war on a flop of [Js][10s][3s] with Krantz leading out for 13,500 and Caruso raising to 27,000 from the button. Kranz would then click it back to 65,000 and Caruso would shoot her a look before calling to see the turn. The [2h] was about as "brick" as you could get and it didn't slow Kranz down as she led out again, this time for 60,000. Caruso went into the tank and eventually verbalized "fold" before saying, "Show me? Give you twenty bucks...A hundred?" "No thank you sir." 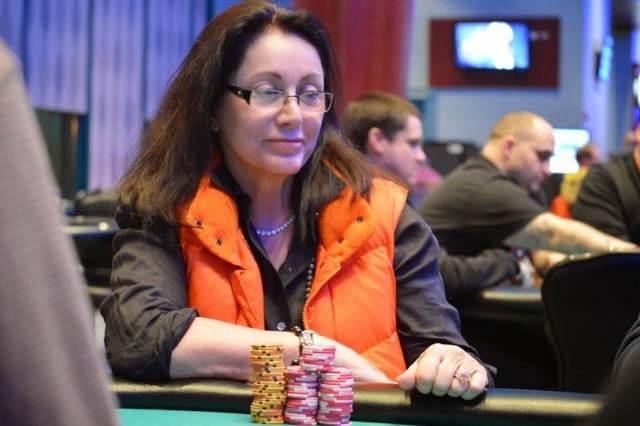 Kranz would say as she took in the pot, leaving Caruso searching for answers and a decent portion of his stack as he's now been cut down to below the chip average. We've only seen one player get eliminated over the last half hour and this "slow" stand-off-ish pace could continue as this isn't a few hundred dollar money bubble we're trying to pop as we have just moved into Level 18. We are just three eliminations away from the money meaning that hand for hand play should start after the next knockout. There are a few players holding on for dear life with 10-15 big blind stacks as they try survive this $3,200 money bubble and turn a profit in this championship event. The Foxwoods blog will bring you through the money bubble with our next post coming when this Card Player Poker Tour Main Event field is officially "ITM". So far today we've been focusing on a lot of the "bigger" stacks in this Card Player Poker Tour Main Event field but there are plenty of notable players in our "second wave" either sitting at or on either side of the chip average with just a few spots remaining until this tournament is in the money. 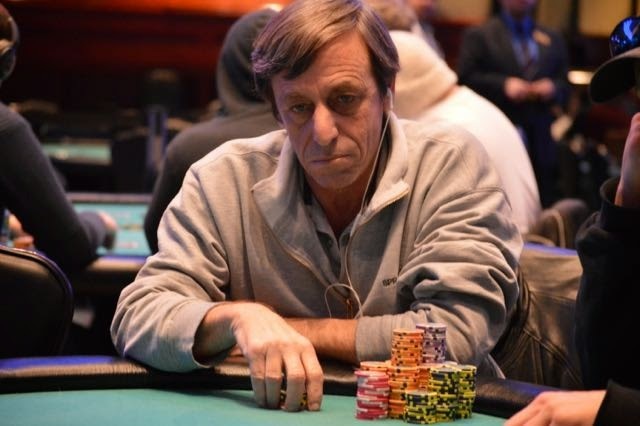 Fred Paradis is currently playing just under the chip average but looks more than comfortable en route to another Foxwoods cash and potentially his third Foxwoods Poker title. Stanley Lee is also just under the average but looks poised to make his first live Main Event cash here in the CPPT Main Event. 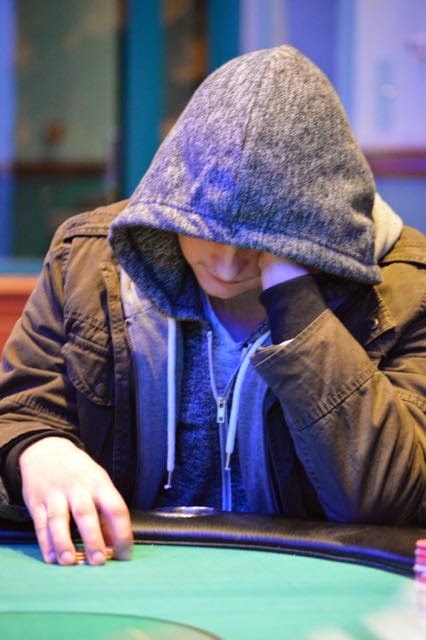 Chris Tryba is currently sitting as one of the shortest stacks in the room and will need to spin it up quick if has any thoughts of matching his 2nd place run from last year's CPPT Main Event. 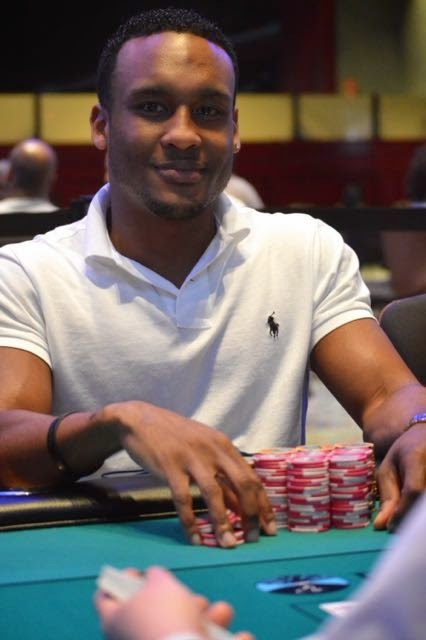 Victor Ramdin is currently on the right side of the chip average with 225,000. He's looking for his first Foxwoods Championship cash since he won the WPT Foxwoods Poker Classic Championship event here in 2006. Players have just returned from their second break of the day and their last before the hour long dinner break coming at the end of Level 18. There are just 45 players remaining in this Card Player Poker Tour Main Event meaning we are just one more table break away from the money as 36 players will cash in this event. There have been cries for coverage on David "Silent Storm" Grandieri on twitter since the start of this Day 2 session and after starting today with just over 20,000, it's time we answer those calls as Grandieri is now playing over 225,000 chips and is now a "far cry from where he started the day" as he so eloquently put it after taking down a pre-flop three-bet pot. We just mentioned David Stefanski's run to go from 15 big blinds to the chip lead and Grandieri's might be even more impressive as he came into today with an under 10 big blind stack and is now playing over the average and looks poised to record another Foxwoods cash here today. We say "another" because there are a lot of them, with the majority of his 30 live rated results coming from Foxwoods major tournaments, totaling just under $300,000 in career earnings. Of those 30 results, Gandieri has Final Tabled close to a quarter of them and when you couple that fact with the fact that he's won three Foxwoods titles in his career, the rest of the field should be on "storm watch" as Gandieri is peaking and showing no signs of slowing down as we continue to play up to the money bubble here in the Card Player Poker Tour Main Event. Players are just ten minutes from their next break. With Brian LeBlanc sitting directly behind us on the live streaming "feature" table, we've been able to hear him talk up the table and we can without a doubt say that he's one of the more colorful people you'll see at a poker table. When we were first introduced to Brian he told us his nickname was "Castle" because he always has a massive chip stack in front of him and by the look of things that nickname checks out as LeBlanc was sitting with just under 250,000 chips, but after a recent hand he claimed he had another nickname so we are beginning to wonder what to call this big stacked player. 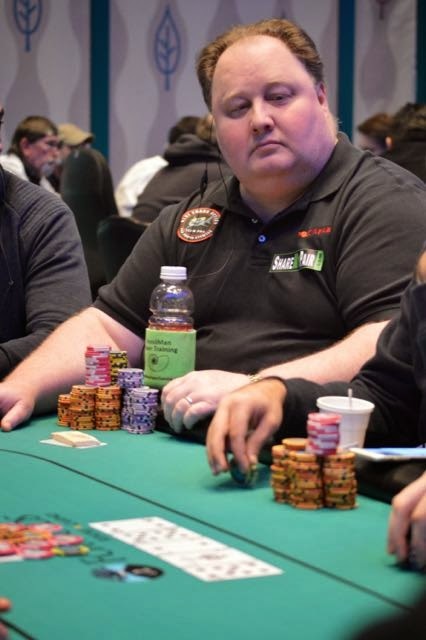 LeBlanc just rivered a straight to take a decent sized pot off of former chip leader Todd Mitchell and after the hand he'd throw his hands in the air and say, "You know what they call me up north? 'Straight Master' if I don't hit five, six straights a night then somethings wrong." We've only seen him hit one today, meaning there must be a few more coming, and regardless of whether we are calling LeBlanc "Castle" or "Straight Master" one thing seems to be remaining constant and that is the growth of his chip stack as he's now up and over the 300,000 mark. 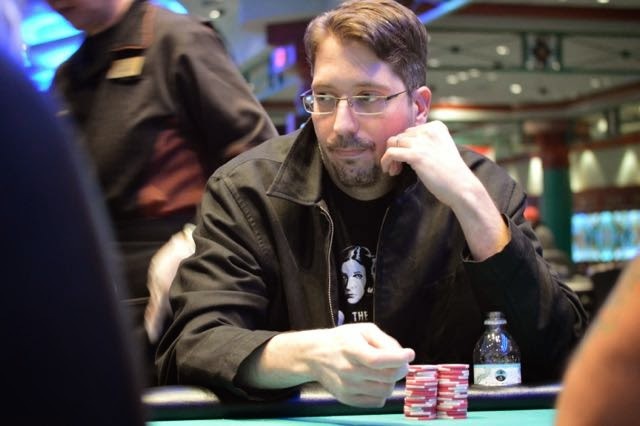 LeBlanc has a handful of big scores from past major Foxwoods series, with his biggest coming from 2011 when he scored a podium finish in a World Poker Finals Seniors event, earning himself just under $20,000. LeBlanc will try to make his first Main Event score since then today and looks poised to do so sitting as one of the big stacks just a dozen or so eliminations from the money. David Stefanski came into today with just over 10 big blinds and is now playing over 300,000 and has one of the bigger stacks in this Card Player Poker Tour Main Event. 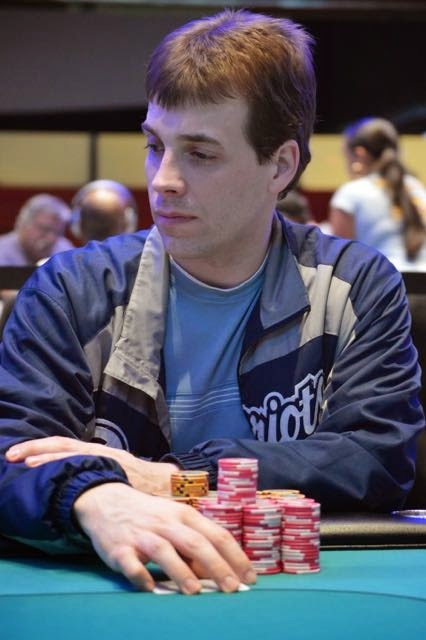 We mentioned Foxwoods "regular", tournament professional and new father David Stefanski as a early Flight A chip leader during yesterday's coverage but after that post, like the rest of the "regulars" we talked about, he didn't chip up, he went down and managed to bag a well under average stack of 30,000 chips. He entered today's Day 2 with just over 15 big blinds and has managed to spin that stack up in a big way, as he's currently playing just over 300,000 and looking like one of the leaders as we continue to play down to the money in the Card Player Poker Tour Main Event. It obviously takes a little "luck" and "timing" to turn a small stack like that into a massive one, but it goes to show the power of just getting to Day 2 as Stefanski could have very easily made his move late in Flight A, but waited for a better spot(s) after the restart and it's paid off in a big way. We've seen a run like this before in this series, as Brad St. Vincent came back into Day 2 of the opening $100,000 GTD event with less than 10 big blinds and managed to turn that into a second place finish and a massive score. 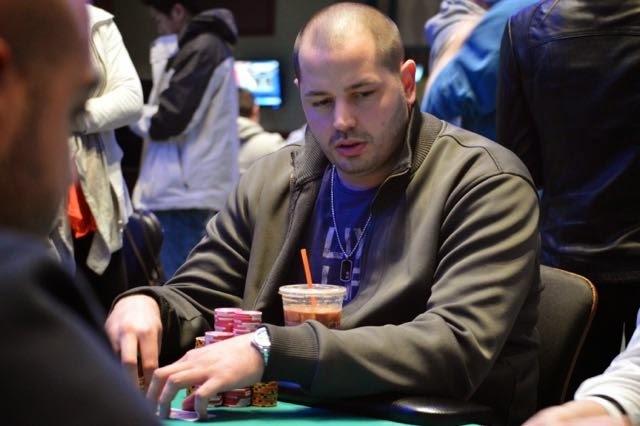 If Stefanski can do the same, and with his tournament resume and experience we wouldn't doubt it, he'd earn his biggest cash since 2012, when he won his second Foxwoods Poker title and just over $50,000. 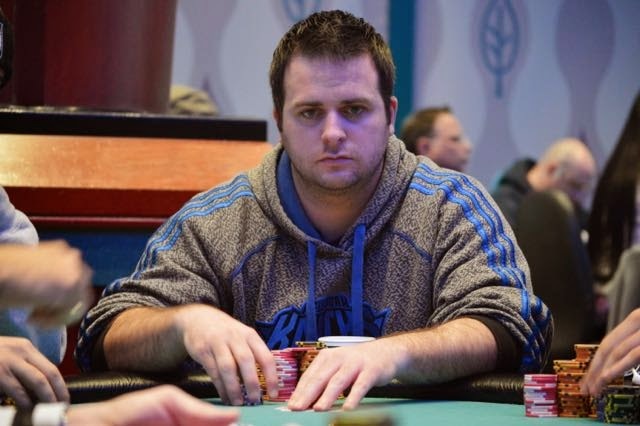 He and the rest of the field are a long way from that point, but now that Stefanski isn't crippled with a short stack the rest of the field should be on high alert as he looks to make a deep run in the first event of his 2015 poker season. We are now just past the mid-way point of Level 15 and we are also just under twenty spots from the money as there are just over seven full tables remaining in this Card Player Poker Tour Main Event. Michael Borchetta has quietly built up a stack over the first few levels of Day 2 and will look to take down his first major title since winning a WPT Borgata Poker Open $500,000 GTD event in 2007. Three time Foxwoods Poker champion James Campbell has been stuck with an average stack so far today, but seems perfectly content waiting for his spot as he tries to make his 50th career rated cash in the CPPT Main Event. 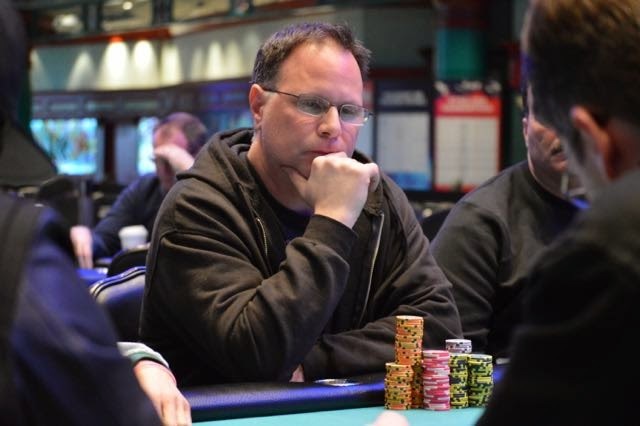 Paul Freedman, who won a Foxwoods World Poker Finals event in 2009 for the biggest score in his tournament career, is looking to make his first ever Main Event cash here in the CPPT Main Event. 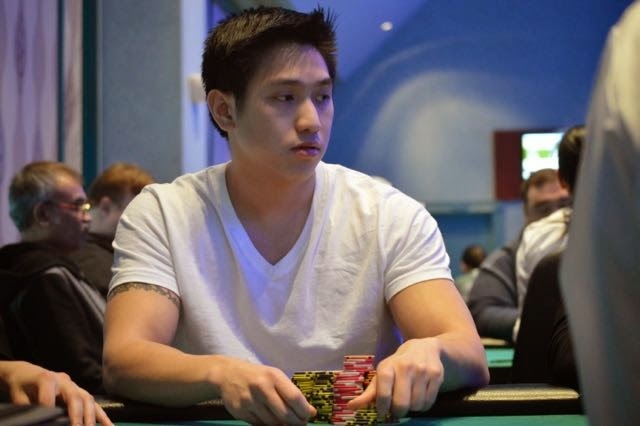 Long Tran is currently playing over the chip average and holding his own at a "stacked" table with tournament professionals Victor Ramdin, Dave Stefanski and Bobby Corcione as he works towards his first Foxwoods Main Event cash. 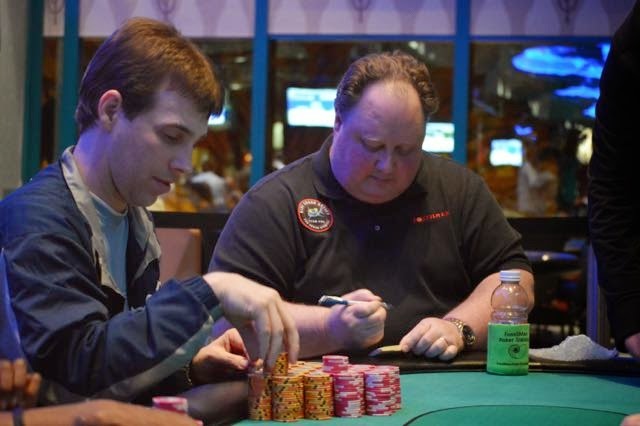 Samuel Taylor started the day at one of the tougher tables redrawn for the Day 2 restart, seated around 2004 WSOP Main Event Champion Greg Raymer, 2014 Card Player Poker Tour Main Event runner-up Chris Tryba and tournament professional Bryan Leskowitz to name a few. Despite the tough draw, he managed to chip up well at that table improving his stack to close to 200,000 chips, but after a table change to Table 3, seated to the direct left of WPT Champion Victor Ramdin, he hasn't faired as well as he just ran his pocket Queens into Bobby Corcione's pocket Aces. The two players got into a pre-flop leveling war and eventually piled it all-in before the flop, with Taylor needing serious help to avoid being crippled to well under the chip average. He wouldn't get it as the flop would give Corcione a set and Taylor would be sending the majority of his stack across the table. The double up would move Corcione above the chip average for the first time today and while he may have flown under the radar for the first half of this Card Player Poker Tour Main Event, he's announced himself in a big way and revealed himself as one of the more decorated players in this field with over 40 rated tournament results to his name. 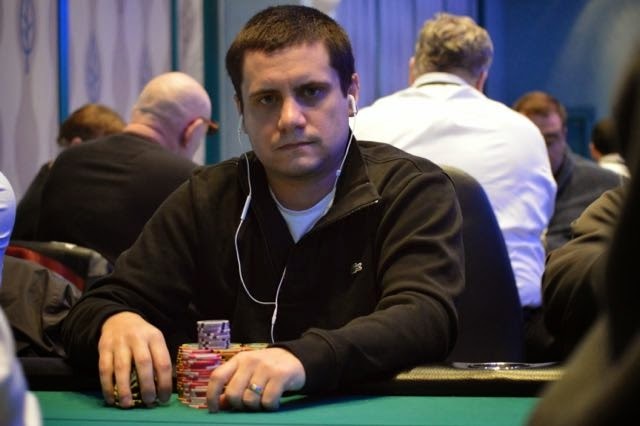 Corcione has made numerous deep runs in past major Foxwoods events with two Foxwoods titles to his name, but his biggest cash came in the 2012 WSOP Main Event, where he finished 21st, earning just under $295,000. That score represents a decent percentage of his $700,000 in lifetime earnings with the majority of the other have of his earnings coming at Foxwoods Resort Casino. He'll look to make another deep run here in the CPPT Main Event and has put himself in a good position to do so after a big double up to move himself up and over the chip average. We're back from the first break of the day and are slowly but surely approaching the money. We've highlighted a few big "gainers" through these first two Day 2 levels but there are plenty of other players who have seen some significant changes to their starting stacks. The Foxwoods Poker blog will continue to bring you updates from the field as we expect to hit the money over the next few levels. We opened today highlighting Bart Guthrie who entered today as one of the bigger stacks in the room and while he's still above the chip average, the majority of his chips have been sent across his table to PJ Caruso (Georgetown, MA) who is now looking like the biggest stack in the room and the only player over the 300,000 chip mark. The action was picked up late in the most recent hand, but he board read [9s][Ah][2d][3s][7s] and Caruso held [6s][5s] tabled in front of him. Guthrie had already mucked and was shaking his head as he cut out close to 30,000 chips to pay off Caruso's river bet. Caruso would take in the pot and by the look of Guthrie's face and body language after the hand, we'd imagine that he wasn't too happy with how it all played out. Caruso certainly won't be complaining though as he will enter the first break of Day 2 with what looks to be the chip lead in this Card Player Poker Tour Main Event as he looks to build off a 16th place finish from the last Foxwoods Championship event he cashed in, a result that earned him $8,000, the biggest tournament score of his career. Players will return from break to Level 15 and will be more or less at a point of a 50/50 split between those who will make the money and those who won't in the CPPT Main Event. We've mentioned a few early "big gainers" so far today and Anthony DiStefano has outdone nearly all of them in the first level and a half of Day 2, already tripling his starting stack. DiStefano (Albany, NY) came into today's Day 2 session with just over 50,000 chips, a very workable stack but one that was at risk of turning short quick as the blinds and antes went up over the first few levels of the day. DiStefano doesn't have to work have to worry about being "short" anymore, now playing just under 145,000 after doubling through and eliminating Sam Haddad. He's managed to chip up at a pretty "stacked" Day 2 table, playing with the likes of Foxwoods "regular" Tarun Gulati, WSOP Bracelet winner Ryan Eriquezzo and the previously mentioned Jason Calnan, who was just moved to Table 1. DiStefano doesn't have much tournament history according to the Hendon Mob database, but we've seen more or less "unknown" players make big scores throughout the first part of this Card Player Poker Tour and after starting this Day 2 session with one of the bigger percentage gains to a stack we'e seen, we wouldn't be surprised if he was to make a deep run here in the CPPT Main Event. There are just under 20 minutes remaining in Level 14 after which will allow the players their first break of Day 2. Day 2's of multi-day tournaments are usually referred to as "moving day" as players with average stacks look to move in the right direction and increase their stack to make the money as opposed to trending in the opposite direction. We opened our coverage of Day 2 with former WSOP Main Event Champion Greg Raymer doubling his stack and Jason Calnan has done the same, coming in with an average 85,000 chip stack he now sits with just under 175,000. 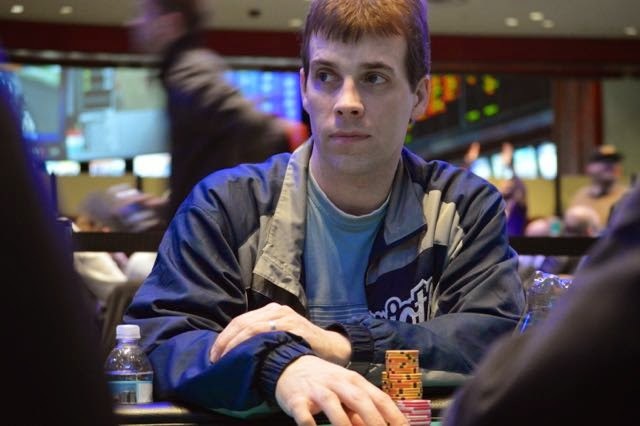 Calnan has recorded one cash in this Card Player Poker Tour series already, a minimum cash in Event 7, but he ended last year with one of the most impressive Foxwoods tournament runs ever, winning three Foxwoods Poker titles in a three month span and earning close to $70,000 in the process. 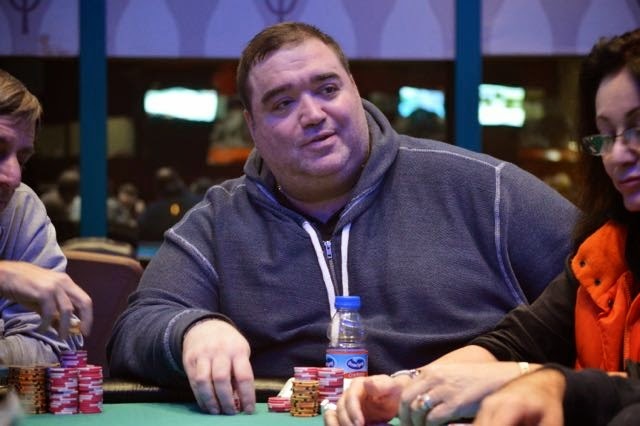 The first two titles came during the Foxwoods World Poker Finals in October and his third title came in December's Mega Stack Challenge series, where he won the opening $100,000 GTD event. With such an impressive end to 2014 and an early double up here in Day 2, we wouldn't be surprised to see Calnan continue to trend upwards and perhaps claim his forth Foxwoods title here in the CPPT Main Event. 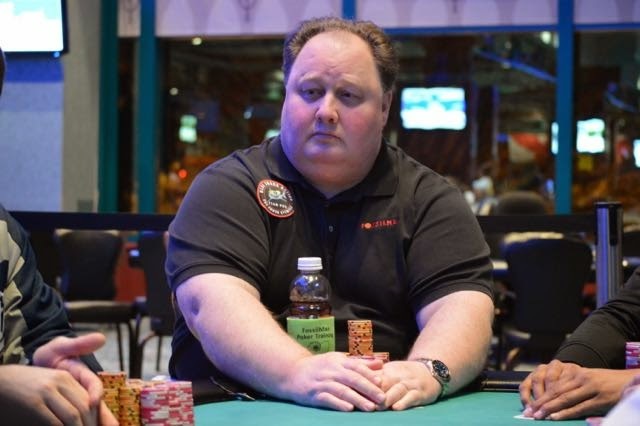 At the end of last night's Flight B session, Greg Raymer seemed happy with his stack, as it was "more chips than he paid for" and he'd end the day with an above average bag. But in the first few hands of Day 2, the former WSOP Main Event Champion has more than doubled his starting stack and now looks like one of the leaders here in the Card Player Poker Tour Main Event. Fossil Man was just tweeting that he was starting Day 2 with 100,000 chips and then caught himself mid-tweet as got an early double when his pocket tens cracked the pocket Aces of an evenly stacked player to move himself over the 200,000 mark. He's picked up a few pots since then and now sits just over the 250,000 mark and is easily the biggest "early gainer" in this CPPT Main Event. 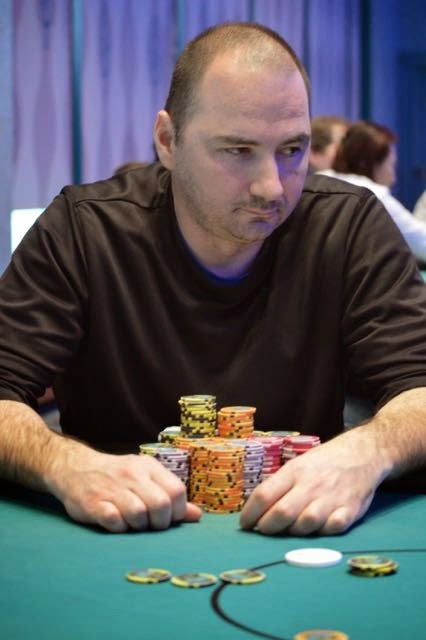 While Raymer is certainly best known for his 2004 WSOP Main Event victory, since then he's had immense success at "mid-stake" buy-in main events, with the majority of that success coming on the Heartland Poker Tour, where he won four Main Event titles in a five month span in 2012, claim the HPT Player of the Year award in the process. Raymer was always a threat to make a deep run in this event, even when he had an average stack, but now that he's doubled his stack in the first level of Day 2, the rest of the field should be on high alert as Raymer looks to be in a commanding position to make a serious run to this Card Player Poker Tour Main Event Final Table. Yesterday's coverage, in particular the "Faces In The Crows" postings, was extremely well received and there were a few "notable" players that didn't get any airtime during their starting flights but bagged up well above average stacks and will look to continue to chip up as this Card Player Poker Tour Main Event plays into the money. Sean Kelly returns to Day 2 with a top five stack and will look to make his first ever Fowoods cash, after recording the biggest cash of his tournament career last summer at the WSOP Main Event. 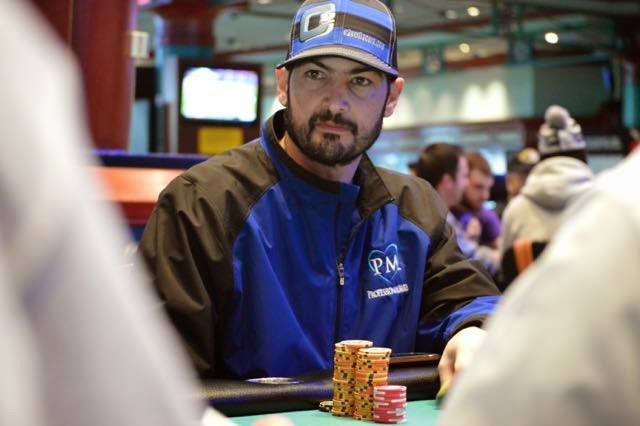 Bart Guthrie also returns with a top stack and despite having over two dozen rated results to his poker resume, he's never cashed in a Foxwoods Championship event, something he'll look to do here in the CPPT Main Event. 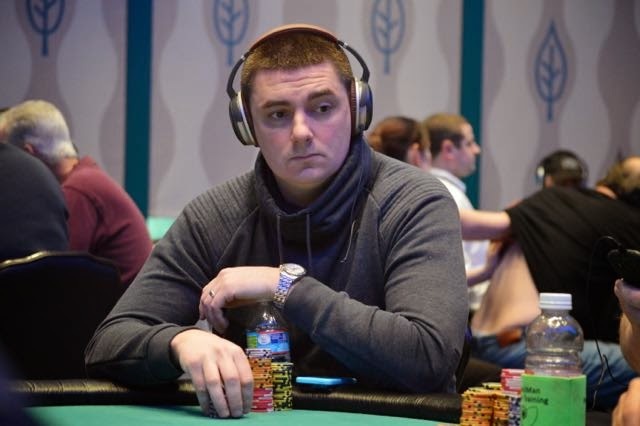 Steve "Dakota" Happas has reach over a dozen Foxwoods Final Tables and accumulated over $275,000 in career tournament earnings, with the majority and the biggest of those scores coming in Championship events. 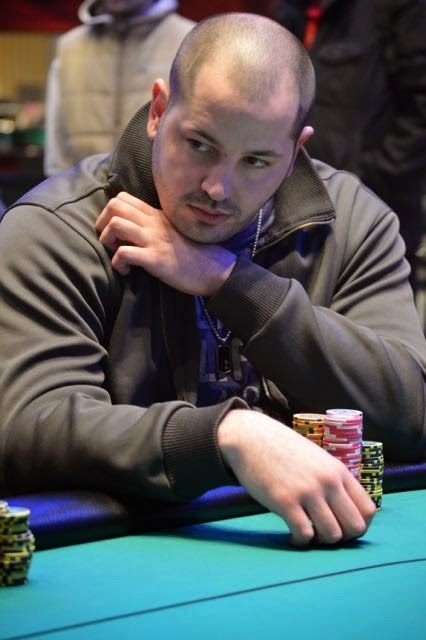 Robert Mielcarek comes into Day 2 with a well above average stack and will look to build off of his 6th place finish in the Foxwoods New Years Day tournament and make the biggest tournament score of his career in the CPPT Main Event. We've already lost some players from the start of the day, but for the remaining players, they'll all look to continue working towards the money and although we are still sixty or so eliminations and a few hours away from that point, players were overheard even before play started talking about the enormity of this prize pool. In total, over $410,000 in prize money was generated, surpassing the original guarantee by over $100,000. The majority of that prize pool is held up top for the first few spots, with just under $95,000 going to he eventual champion and five figure scores going to the top eight. A minimum cash will earn players $3,200 with pay jumps increasing every few eliminations. The 99 returning Day 2 players have just entered the tournament area with two things on their mind, to make the money and then to outlast the rest of this field to make the Final Table. This Day 2 session will be playing down to a Final Table, or Level 22, whichever happens first meaning we will be ending play around midnight at the latest, giving everyone, bloggers included, an early enough night. There are plenty of big stacks returning to play, but the focus now has to turn to a lot of the short stacks that bagged up yesterday as they'll need to figure something out quickly if they are going to hope to make the money here in the Card Player Poker Tour Main Event. The official payouts will be posted shortly once play begins to give players and blog followers an idea at what they are playing for here today. It should be an exciting day here in the Foxwoods Poker room with the blog bringing you updates from the field as well as the live stream bringing you all the action from the "feature" table at foxwoodslive.com. It's going to be one of the busier days of the Card Player Poker Tour series today, with two massive events playing out, one being the Day 2 session of the $300,000 GTD CPPT Main Event and the other being the $50,000 GTD Event 12. The CPPT Main Event doesn't kick off until 12 PM, but when they do, the Foxwoods Poker blog will bring you all the action as we look to play down to a Final Table tonight. Event 12 will also not crown a champion today as it is scheduled as a two day event. Event 12 will see players start with 20,000 in tournament chips and play 40 minute levels for Day 1. Late registration and re-entries will be available for a few hours, giving players who bust out of the Main Event a chance to get into another big prize pool event. It should be an exciting day with the updates and live stream going live at 12 PM when the CPPT Main Event starts their "moving" day. Keith Romanovitz won a massive flip in one of the final hands of Flight B to move himself up the leaderboard, finishing with a top three stack. Flight B is officially in the books meaning we have a finalized number of players for tomorrow's Day 2 restart. After 64 players advanced through Flight A, another 37 will be joining them tomorrow meaning just over 100 players will be returning to play down to a Card Player Poker Tour Main Event Final Table tomorrow, but first they will look to make the money as just 36 players will get paid in this $300,000 GTD CPPT ME. This Flight B field didn't bag nearly as "big" of stacks as the earlier flight did, with no one finishing above the 200,000 chip mark, but there were a few over the 150,000 threshold and one of those players was Keith Romanovitz (Salem, MA) who won a massive flip [Ad][Kh] over [Qh][Qs] on one of the final hands of the day to finish with 157,000, good for a top five stack. Leading the charge was Roland Ishraelashivilli who bagged 165,000 but Bryan Leskowitz was close behind with 158,000. Rounding out the top few stacks were Stanley Lee (136,000), Joseph Stiers (131,000), Rachel Krantz (128,000), Tarun Gulati (114,000), Greg Raymer (100,000) and Victor Ramdin (85,000). A complete list of all players that bagged up chips for Day 2 will be posted as soon as the counts and table draws for tomorrow are finalized and they will be posted here, tweeted out on the Foxwoods Poker account and on my personal account, which can be followed @WOCPoker. Stay tuned for those table draws and chip count lists as well as the official CPPT Main Event payouts which will be posted before play begins tomorrow.